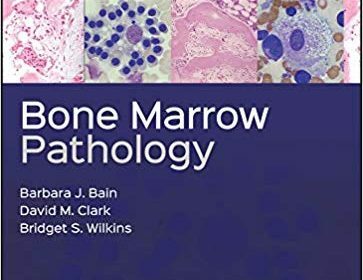 Bone Marrow Pathology has been extensively revised to reflect the significant advances which have occurred in the application of cytogenetics and in particular, molecular genetics in the diagnosis, classification and understanding of haematological disorders. 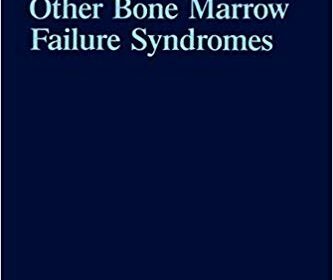 This comprehensive book not only provides information on all common disease entities, but also covers rare disorders in which bone marrow examination is useful. It is designed as a practical resource with ‘problems and pitfalls’ highlighted throughout to aid laboratory diagnosis. During the past decade, there have been numerous direct and indirect scientific contributions to both the etiology and therapy of aplastic anemia and related bone marrow failure syndromes. Clinical observations, such as autologous bone marrow recovery after conditioning with immunosup­ pressive agents for bone marrow transplantation; failure to achieve en­ graftment in some identical twins without prior immunosuppressive ther­ apy; and hematologic response to immunosuppressive agents, have led to the concept of immune-mediated etiology of acquired aplastic anemia. Such a concept was further strengthened by laboratory findings, implicat­ ing the role of activated cytotoxic T lymphocytes and abnormal produc­ tion of inhibitory lymphokines. The immunologic mechanisms may also apply to the idiosyncratic bone marrow aplasias associated with drugs, toxic chemicals, and viruses. These agents may alter normal cellular recog­ nition sites by interacting with cellular components and result in loss of self tolerance. Immunologic mechanisms have long been advocated in many other organ failures, and the hemopoietic organ is no exception. It is of interest that parallel clinical and laboratory investigations in juvenile diabetes mellitus type I and in rodent models of this disease have yielded results compatible with the same pathogenic mechanisms. The infiltration of pancreatic islets by activated T lymphocytes, functional and morphological alterations of islet cells upon incubation with lymphokines such as gamma interferon and tumor necrosis factor, and clinical response to cyclosporine are a few examples. Now more than ever, thrombotic and thromboembolic disorders as well as related diseases such as malignancies, arteriosclerosis, diabetes mellitus, hypertension, and obesity are the leading causes of morbidity and mortality. They have become urgent medical problems with serious economic consequences in industrialized and devel- ing countries alike. At the same time, the impact of molecular biology and genetics on our understanding of thrombosis and hemostasis is rapidly growing stronger as well as our knowledge of regeneration and development of specific tissues, organs, and embryos. Researchers are also constantly learning more about cardiovascular diseases as well as regulatory mechanisms for various intrinsic and extrinsic stimuli in viable tissues. 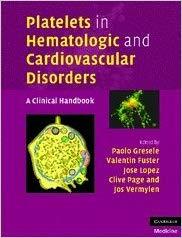 In this volume, our intention has been to present the latest relevant information in molecular biology and genetics as well as the clinical implications of a better understanding of pathophysiology, novel diagnostic methodologies, and therapeutic applications for new methods of prevention in thrombosis/hemostasis and related disorders, including atherosclerosis. 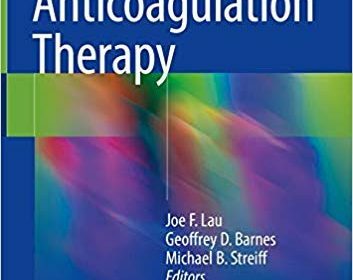 The dramatic advances in knowledge of thrombosis/hemostasis and vascular biology since the first publication of Recent Advances in Thrombosis and Fibrinolysis, edited with Japanese colleagues, in 1991, have required extensive revision in order to highlight and review recent progress in the field. The editors also gratefully welcome the seven distinguished non Japanese authors, who, with their valuable contributions on subjects beyond the coverage by Japanese authors, have made this new edition truly international. A rapid increase in our understanding of the biology of platelets and their role in disease in recent years has been paralleled by increasing successes with established platelet-modifying therapies in many clinical conditions. This text focuses on the clinical role of platelets in a wide variety of hematologic, cardiovascular and other disorders, providing a practical, clinically relevant handbook for all clinicians and researchers interested in platelets and their role in disease. Covering platelet physiology, bleeding disorders, thrombotic disorders and antithrombotic therapy. Chapters cover all the conventional and less conventional aspects of platelet involvement in disease, with an emphasis on recent clinical developments. Clear take home messages have been included in each chapter to aid clinical practice. With contributions from leading experts across three continents, Platelets in Hematologic and Cardiovascular Disorders is an up-to-date, well illustrated, practical resource for everyone involved in clinical practice with platelet disorders. 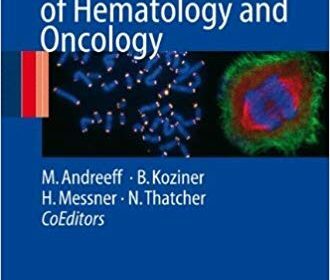 This text provides a comprehensive overview of the essential concepts and malignancies of hematology. Now in its second edition, the book reviews every major hematologic disorder and disease entity in thorough detail, from incidence and prevalence to patient and treatment-related issues. Formatted in an organized and easy-to-read outline style to facilitate rapid learning and information processing, the book allows readers to easily locate topics of immediate interest without wading through entire sections to obtain the desired data. 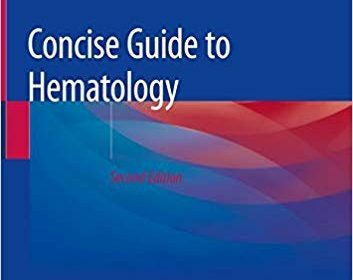 Written by a diverse range of experts in the field, Concise Guide to Hematology, Second Edition is a valuable resource for clinicians, residents, trainees, and entry-level fellows who work in or are just entering the field of hematology. 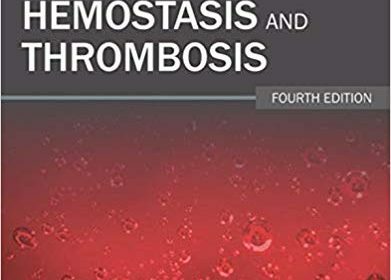 With authoritative coverage of rare and common hemostatic disorders, Consultative Hemostasis and Thrombosis, 4th Edition, keeps you both up to date with all that’s new in this fast-moving field as well as reviewing background and development and citing pertinent classical literature. Broad differential diagnoses are provided, underscoring the editors’ position that correct treatment begins with correct diagnosis. This trusted resource by Drs. Craig S. Kitchens, Craig M. Kessler, Barbara A. Konkle, Michael B. Streiff, and David A. Garcia is designed for rapid reference and critical decision making at the point of care. Emphasizes real-world problems and solutions, with quick access to concise descriptions of each condition, associated symptoms, laboratory findings, differential diagnosis, and treatment. Features a user-friendly design, full-color format, abundant laboratory protocols, and at-a-glance tables and charts throughout. 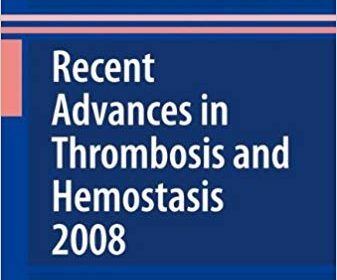 Provides thorough updates on core information on hemostasis and thrombosis, including deep venous thrombosis (DVT), pulmonary embolisms, hypercoagulability, thrombocytopenia, von Willenbrand disease, and more. Covers new treatment information on hemophilia A and B. 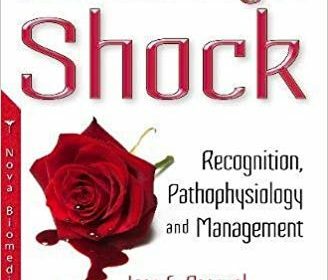 Contains new chapters on hereditary hemorrhagic telangiectasia, hemolytic uremic syndrome, and paroxymal nocturnal hemoglobinuria. Two new editors, Dr. Michael B. Streiff and Dr. David A. Garcia, offer fresh perspectives and valuable experience. 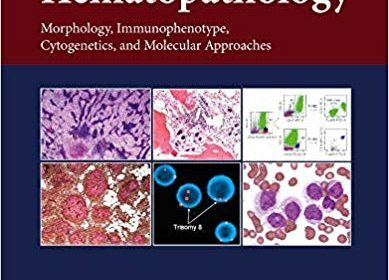 Atlas of Hematopathology: Morphology, Immunophenotype, Cytogenetics, and Molecular Approaches, Second Edition, will appeal to both a wide range of people undergoing training in a variety of medical fields and practicing non-hematopathologists. For clinicians, fellows and residents, correct diagnosis (and therefore correct treatment) of diseases depends on a strong understanding of the molecular basis for the disease, making this book a crucial resource. This atlas contains hundreds of high-quality color images that mirror the findings that fellows and clinicians encounter in practice. In addition, it provides information in a quick, simple and user-friendly manner, attracting both those in training and non- experts. Residents, fellows, practicing clinicians, and researchers in pathology, hematology and hematology/oncology will find this a useful resource. A real boon for medical practitioners from a number of disciplines, this is a practice-oriented manual of medical oncology and hematology for day-to-day use in caring for patients’ hematologic and neoplastic diseases. It is founded on the longstanding experience of a large specialized university department accustomed to having to provide reliable advice in a broad range of circumstances. The authors have chosen not to give a comprehensive review of the various subjects but have instead focused on practical methods which have proven to be useful in their experience, with special emphasis on standardizing chemotherapy protocols.